The November Family Night for kindergarten through third grade will be held at 6:30 p.m. on Monday, November 19, in the Draughon Room (lower level) of the library. 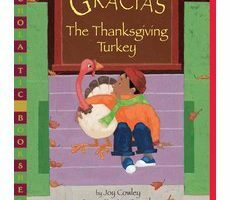 We will be reading The Thanksgiving Bowl and Gracias, the Thanksgiving Turkey. Following the stories, we will make a craft, play games, and enjoy refreshments. Halloween Party at Preschool Storytime! 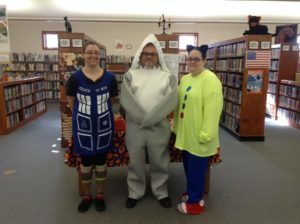 Next Wednesday is Halloween, and all of our friends are encouraged to wear their Halloween costumes to Preschool Storytime, which will begin at 10 a.m.
Staff members dressed up last year, and this year’s costumes will be even better! Come see us, enjoy stories, crafts and snacks, and start the day off with fun! The November Preschool Family Night for ages 2-5 will be held at 6:30 p.m. on Monday, November 5, in the Draughon Room (lower level) of the library. 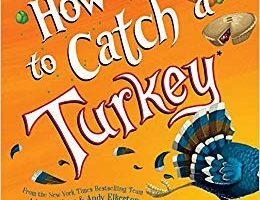 We will be reading How To Catch a Turkey and Over the River: A Turkey’s Tale. Following the stories, we will make a turkey craft spelling the child’s name, make a pilgrim’s hat and enjoy refreshments. SORRY–this event is filled! Look for sign-ups for November family night later this month. Our first Family Night of the year for children in kindergarten through third grade will be held at 6:30 p.m. on Monday, October 8. 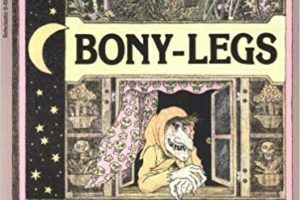 We will be reading the story of Bony-Legs by Joanna Cole and The Perfect Pumpkin Pie! 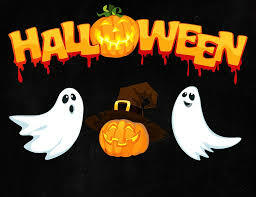 We will also be making a pumpkin craft, enjoying refreshments, and playing a candy ball game! Space is limited to the first 30 children registered. Call us at 471-4140 or fill out the form below to save your spot. First Family Night of the year for Pre-K! Whooo’s ready for Family Night? We are! The first Family Night of the year for children between the ages of 2-5 will be held at 6:30 p.m. on Monday, October 1 in the Draughon Room (lower level) of the library. 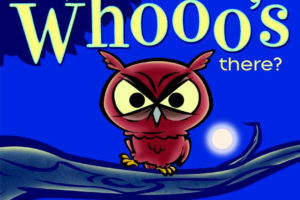 We will be reading two books: Whoooo’s There? and Red Leaf, Yellow Leaf. We will also make an owl puppet and a leaf wreath. Come enjoy flannel boards, playing in the leaves and refreshments! Reservations are required since space is limited. Call 471-4140 or complete the form below to save your spot. 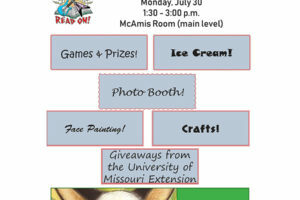 Summer reading fun at the library is drawing to a close, but we have one last big event to celebrate! Join us at 1:30 p.m. on Monday, July 30 for our Summer Reading Party. 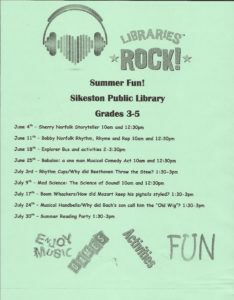 We will have games, crafts, a photo booth with props, ice cream, and a visit from storybook character SkippyJon Jones! 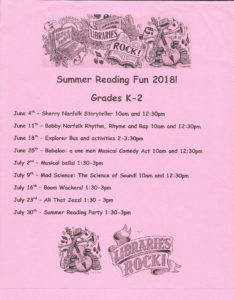 Don’t forget to bring in your completed summer reading log to get musical notes with your name on them posted in the library, and your choice of a prize from our prize box. Summer Reading presenters kick off the fun! All three programs will be held at 10 a.m. and 12:30 p.m. on their respective performance dates in the Draughon Room (lower level of the library). On Monday, June 11, Bobby Norfolk returns to the library with Rhythms, Rhymes, & Raps. Bobby turns traditional tales, such as “Little Red Riding Hood” or “The Three Billy’s Goat’s Gruff,” into finger-snapping, toe-tapping verse. He transforms selections from his favorite authors into comical and creative raps, and fills them all with zany vocal effects, lively animation, and tons of humor. 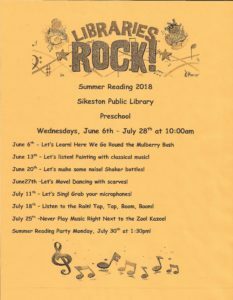 On Monday, June 25, Babaloo Music & Fun will be visiting the library. 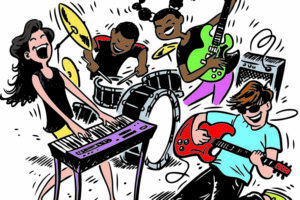 Babaloo will keep you on the edge (and out) of your seats with musical mayhem and lots of laughs! 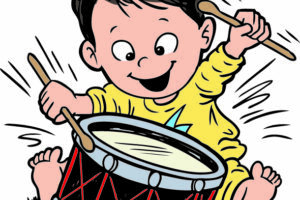 Not only does Babaloo play music with his guitar, but he asks the audience to make music along with him on bucket drums and other unconventional instruments. 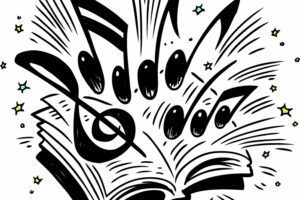 On Monday, July 9, Mad Science returns to the library with “Sound Like Science.” This event gets children excited about science, with a particular focus on the science of sound. Kids will get tuned-in to learning with exciting demonstrations and experiments including the surprisingly loud Dinosaur-in-a-Can, the glowing Electric Pickle, and a kid-created Thunder Storm! 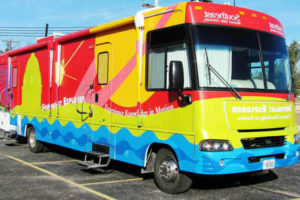 These programs are supported by the Institute of Museum and Library Services under the provisions of the Library Services and Technology Act as administered by the Missouri State Library, a division of the Office of the Secretary of State.